SOUTH PARK! 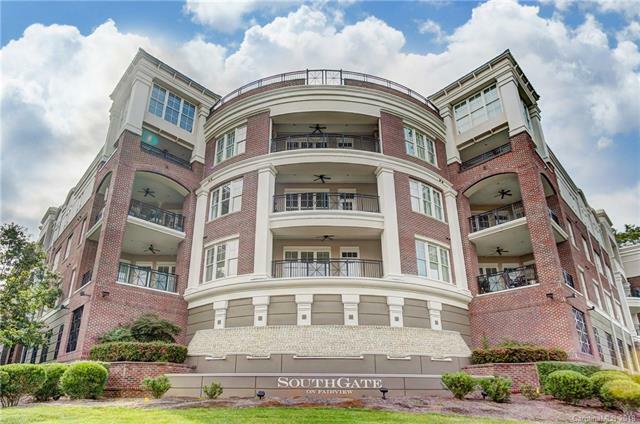 Immaculate 2BR, 2BTH 1st level condo in the heart of South Park. Over $10,000 in upgrades. Kitchen- Upgraded Bosch stainless appliances, KitchenAid refrigerator, KitchenCraft Cappuchino 41" cabinets, dovetail drawers, Giallo Ornamantale granite, custom backsplash. Beautiful 3" Gunstock Oak wood flooring in foyer, great room, kitchen & dining area. Upgraded built ends both sides of fireplace. 8ft doors, 10ft ceilings. Upgraded lighting and plumbing fixtures. Large owner's suite w/ huge walk in closet. Luxurious owner's bath that features upgraded cabinets, large soaking tub & frameless walk in shower enclosure. Second bedroom also features walk in closet. Large covered patio veranda is a great place for morning coffee or evening glass of wine. Building lobby is a great place to meet and has a fantastic wine room. Close proximity to South Park mall, South End & easy commute to the airport. This is affordable South Park living at it's best!